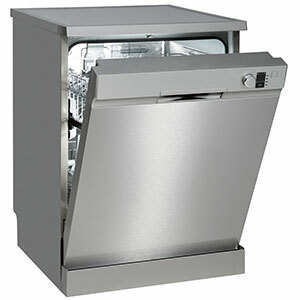 Only after we purchase what you need in the form of dishwasher parts in Evanston IL will we know the actual cost to bill you for parts; for the most part, labor is hour-based and the amount of hours charged usually falls in line with what's found in the Major Appliance Service National Price Guide. No matter what the repair is, or how much the total cost ends up being, we will not throw in any other expenses -- you are only held liable for the cost of the parts and the labor required to complete your dishwasher repair. This is why our appliance repair services cannot be out beat by any other providers of dishwasher repair in Evanston IL. Be careful when installing your dishwasher through your home's hot water supply. The most important thing to consider is what temperature you set the water at -- check the owner's manual for the appropriate setting. If it's too hot, the dishwasher might sense that and respond accordingly. This could result in the load running short and the dishes might not get as clean. If you have the opposite problem and water doesn't run hot enough, run the hottest cycle and see how warm it gets. If the temperature control doesn't help -- it could be a mechanical problem with your dishwasher.